For years, technology has transformed the retail landscape, in large part because it created serious online competition. But now, technology is also transforming retail inside brick-and-mortar stores. The Internet of Things (IoT) is here — it’s everywhere. If you haven't started thinking about smart shelves, layout optimization, automated checkout, and beacons, it’s time you did. And it turns out, many of the 2019 retail trends will harness the power of IoT. 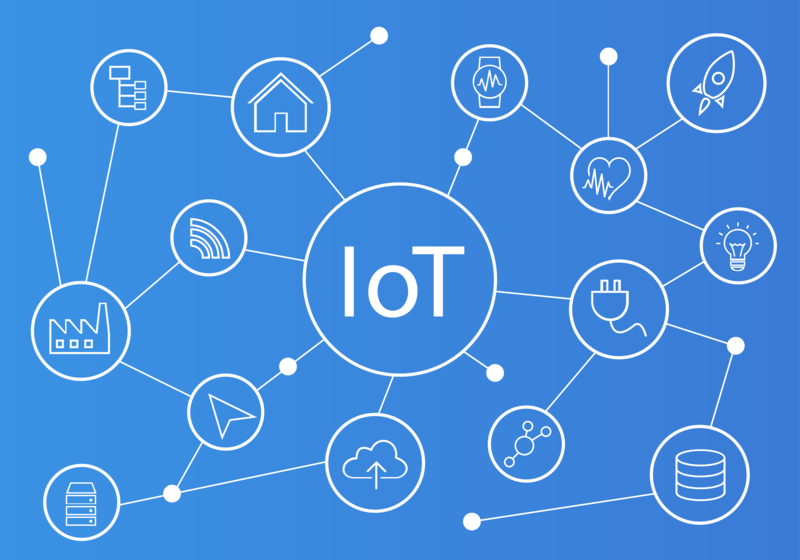 The Internet of Things (IoT) refers to the fact that wireless technology can now power all sorts of physical devices, as long as they have an internet connection. Your smart home allows you to operate everything from your thermostat to the window blinds and front doorbell camera via your smartphone. Retailers are taking advantage of similar technology to give customers a far more tantalizing and personalized shopping experience and to more efficiently manage back-end operations. New technologies allow you to enhance supply chain management, track inventory in real time to reduce errors, and cut labor costs. McKinsey, the global research firm, predicts that the economic impact of IoT in retail environment alone could top a trillion dollars by 2025. That’s just six years away. Adopting the right IoT retail trends can also help you increase sales and customer loyalty. At the same time, you can gather deeper insights about your customers’ shopping behaviors and preferences to further personalize their experience. Here are some of the tech-forward retail trends that will become even more prominent in the new year. Imagine a loyalty program that enables your best customers to receive personalized discounts as they step into your store or browse in different areas, once they’ve signed up. Sensors located throughout your store activate when they detect the customer’s smartphone nearby, sending discounts that reflect her online and/or in-store viewing and buying habits. Not the “blue light special,” high-tech beacons use Bluetooth technology instead of sensors to detect when a shopper is passing by or entered the store. Customers who added the app to their smartphone can receive discounts, reminders about an item they viewed online, even alerts about special in-store events. Beacons can also be used to send inviting alerts to passersby as a way of building traffic. If we can now converse with chatbots online, why not robots in-store? Instead of a sales associate walking a customer across the store to find the desired item, a robot could lead them and even answer questions along the way. Lowe’s introduced helpful robots that speak both English and Spanish. Target, too, is trialing robots, using them to handle restocking chores. While many stores moved to self-checkout options to help shoppers pay and go faster, automated checkout eliminates the traditional process altogether. With the appropriate mobile payment app, shoppers can simply walk out with their merchandise as the system automatically reads each item’s tag, tallies the total purchase, and captures that amount via the app. McKinsey says this could replace up to three-quarters of cashiers. Restocking shelves and returning items misplaced by customers to their proper location are necessary tasks that are both tedious and time-consuming. Smart shelving systems do much of the work for you, using RFID tags and readers. Instead of constantly checking shelves, you get alerts when stock is low or an item is out of place. This type of system can also help reduce theft. Technology can make refining your store’s layout more scientific. The software uses infrared sensors to track traffic patterns and customer dwell times. With that data, you can reposition most-wanted merchandise to be more visible. RFID and GPS technologies combine to improve tracking of products in storage and in transit. You can track details such as ambient temperature as well as exact location, ensuring product freshness and improving overall inventory management. Not all of the technologies behind these retail trends will be valuable for every retail operation. But the more you know about what’s coming and how it might benefit your store and your customers, the stronger your new year will be.